Replies: 55 (Who? ), Viewed: 13930 times. #1 10th May 2017 at 5:13 PM Last edited by Volvenom : 19th Jul 2018 at 3:02 PM. I have been thinking about and planning this project for a while, and it will probably not be finished in something like a couple of years or something. I'm posting here now because I would like some input already in the planning stage, and perhaps someone will be so nice to test a couple of things for me. I'm thinking a canal world like this needs to be tested with houseboats, because I want them to work, at least part of the way. I think they might just be too high and wide for all the bridges. Exp and stuff packs: everything I have installed, which for ts3 is all the nice expansions, that means nothing Katy Perry or whatever. 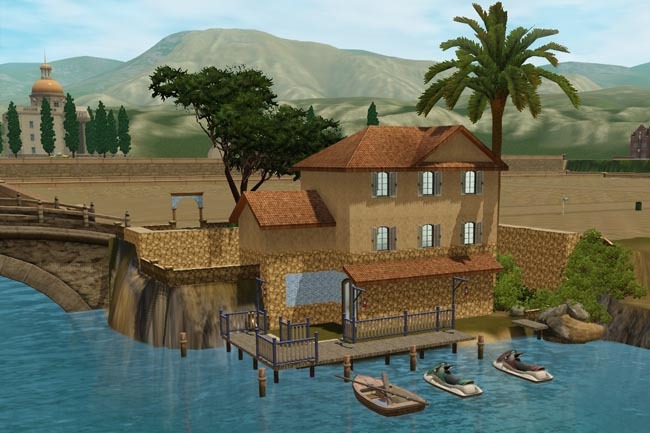 Store content: The cambodia sets and Monte Vista world. I will be using the MV bridge of love. The glass doors from that world is also one of my favourite. I'm wondering if the New City has grown a bit small, and what you otherwise think of my layout. Ankhor Wat looks like this today, but I'm naturally not making a copy, far from it. I do hope to catch some of the athmosphere of modern day Cambodia with the old ruins outside the city. That means I will have some of the modern skyskrapers along with small little houses with boats by the canals. The Canal sides not have seawalls. 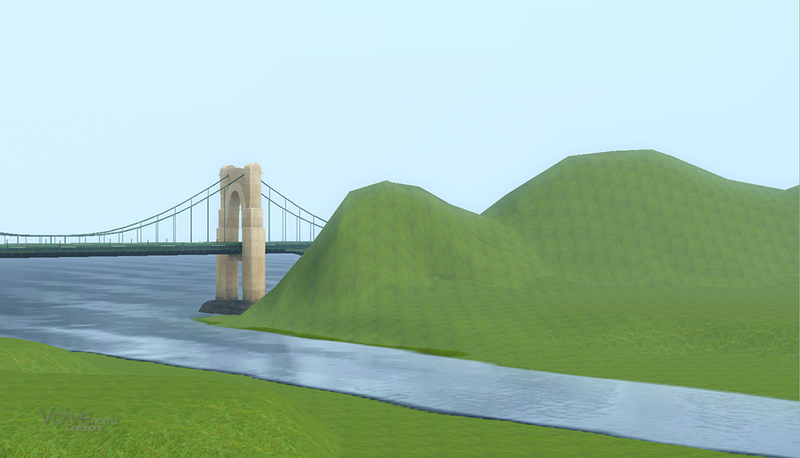 I'm planning on making lots and use foundations as walls alongside the canals. 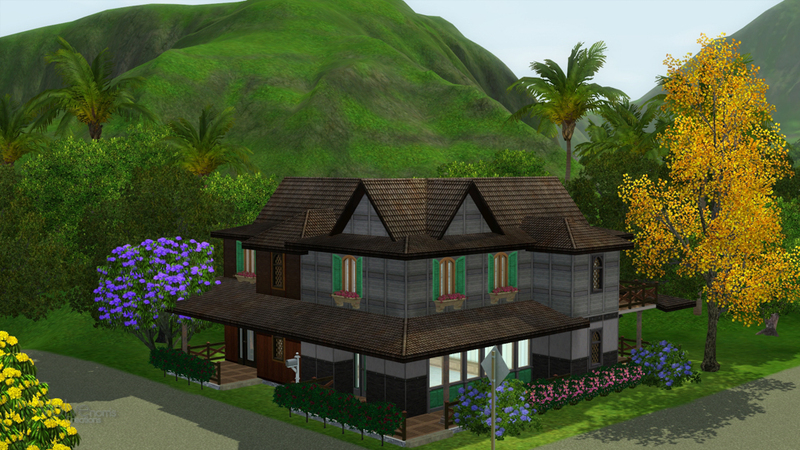 The space in between will just be a bit overgrown I think, so I will use plants between the lots. I will not use any DT either. 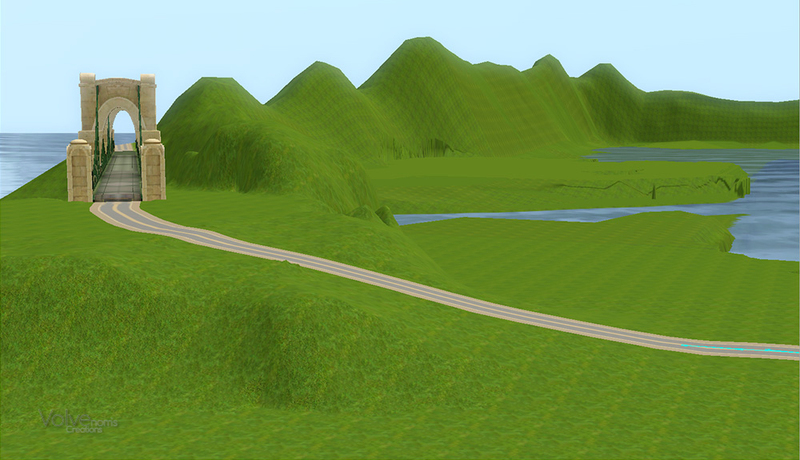 I will just fold the edges of the map a bit up to be mountainous areas. It seems to be something like that at the back of the original. I have not done any routing or any real terrain work yet. I'm just trying to get a grasp of how high and wide the different parts needs to be. I wonder if the suspension bridge is a bit low in the picture above. I'm thinking I keep the road a bit high towards the middle temple, and then lower it towards the canals to make it easier to fit houses low enough for boats with that "pin you stick them to", in lack of a better expression. To make what I want I have to plan quite a bit, and I'm planning it all from the start. It's what I always regret when something is finished, that I didn't plan it well enough. Update this summer 2018. I have so much work with school, so it's hard to get the time. It's also very hard to motivate myself for anything labourintensive or too traditional. That means I ditched some of the old traditional style ideas, and will just get on with modern. 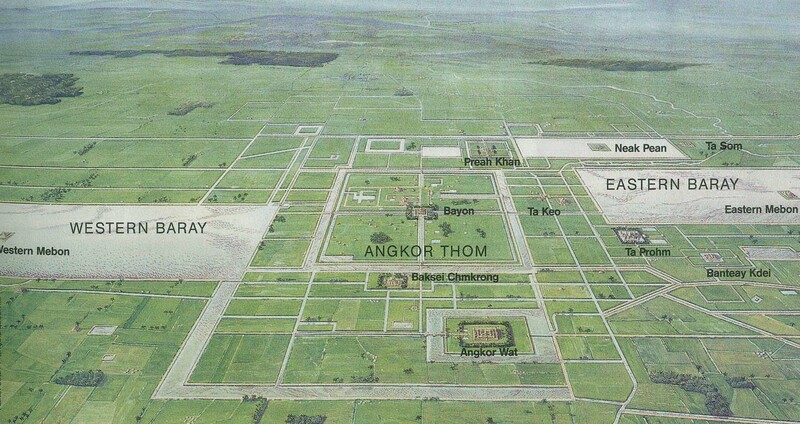 I just removed Angkor Wat from the plans all together. I want to keep the thread though, because of the techincal tips and layout tips you gave me. The scale is such, the middle lot is 60x60 big, and making things look dated isn't really my thing, so I will have to update it a bit. My stupid Dutch/Northern German mind first thought it's gonna be some mud flat-like world. Watt = Mud flat in German. Watt is something to do with light in my country and I hope it's going to be very interesting. Sounds like a great project! 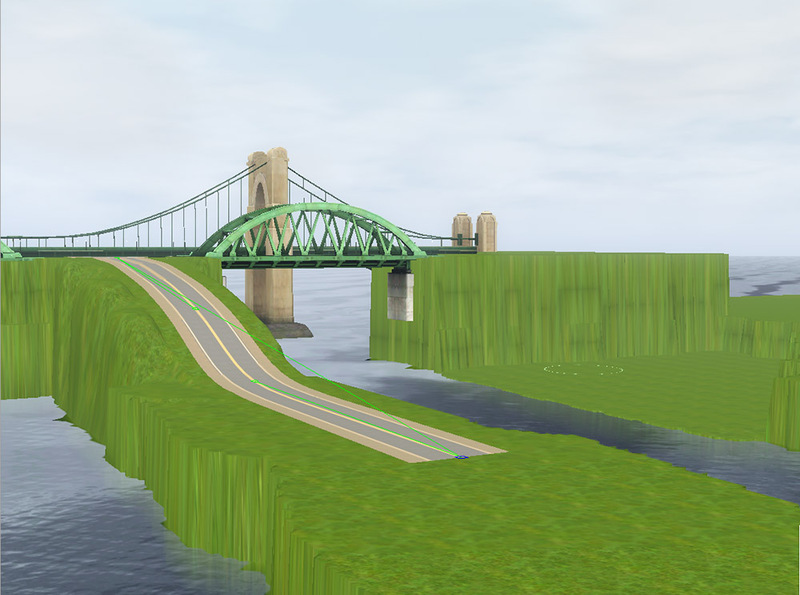 I found this thread with information about which bridges work or the height of the bridges necessary in CAW for houseboats to pass under: http://www.modthesims.info/showthread.php?t=518693. Essentially, it sounds like a few work as they are or they have to be placed higher in CAW than the Arc de Triomphe. That was great Simmy. Didn't someone have a number for depth in caw? I have to check that out. This is a great concept! Looking forward to see what comes out of it. 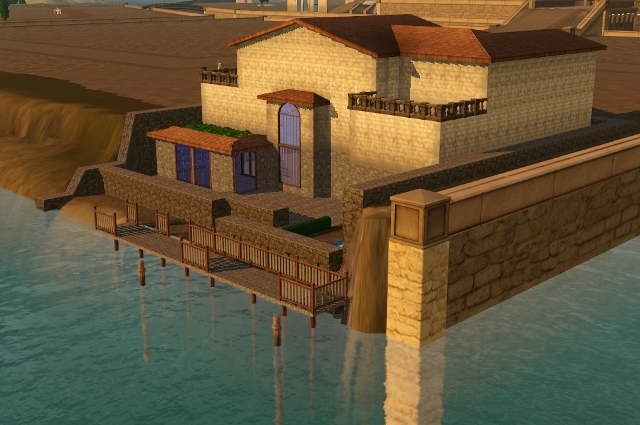 From my experiences with building Lago Simiore I can say that you have chosen a difficult path though. Initially I wanted to do more of a canal town, with lots having access to water, like these (unfinished versions, sorry, but I assume this what you want to do in some parts, too). 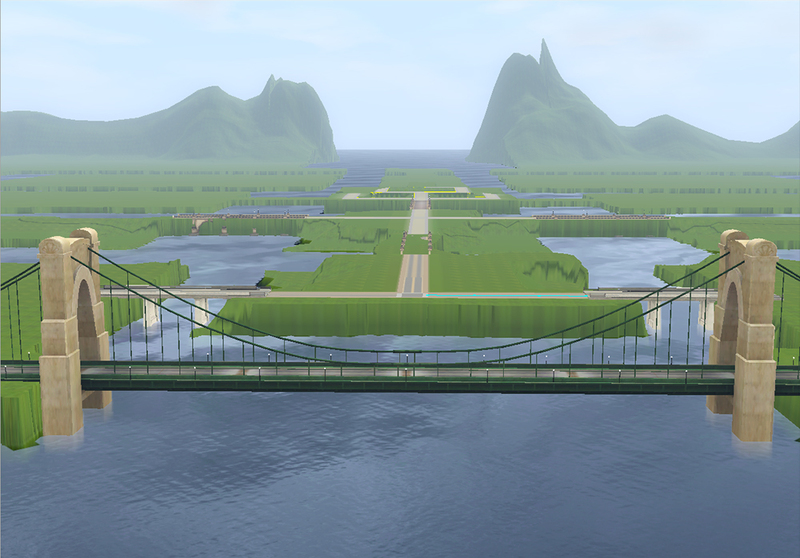 This is already more than a full floor height difference - but I made the bridges not as high as you would need it, I didn't plan for houseboats. In Lago Simiore boats pass under the bridges with a little bit of clipping. 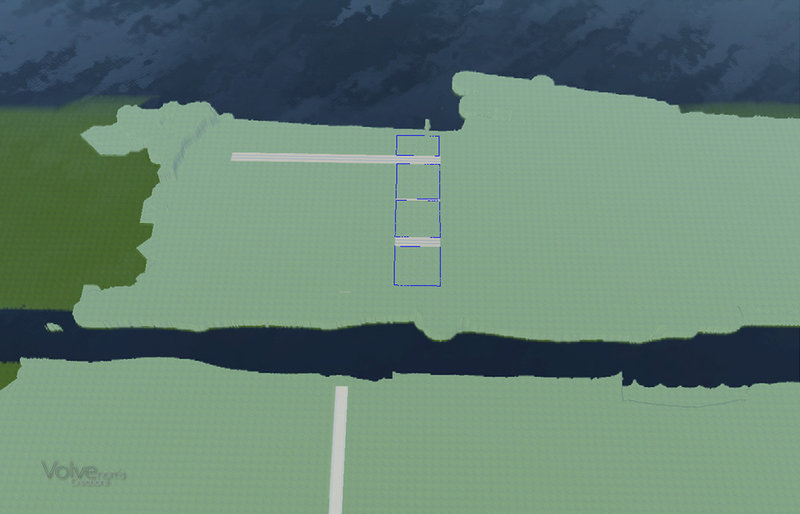 So you will have to plan for huge height differences on the different sections of your map. 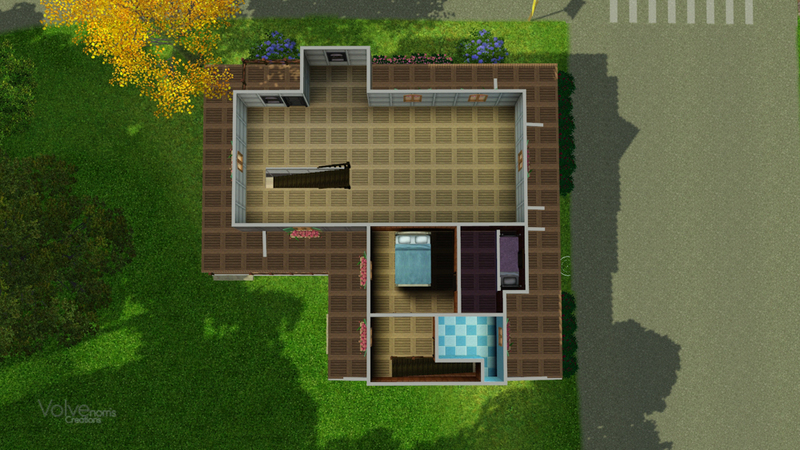 - Sims can walk along the very edge of a lot, even if blocked (with non-routing paint, stones, plants etc. in CAW). It needs heavy object use to prevent that. - If there is a way off-lot to get to the water, sims will use this. See point above. 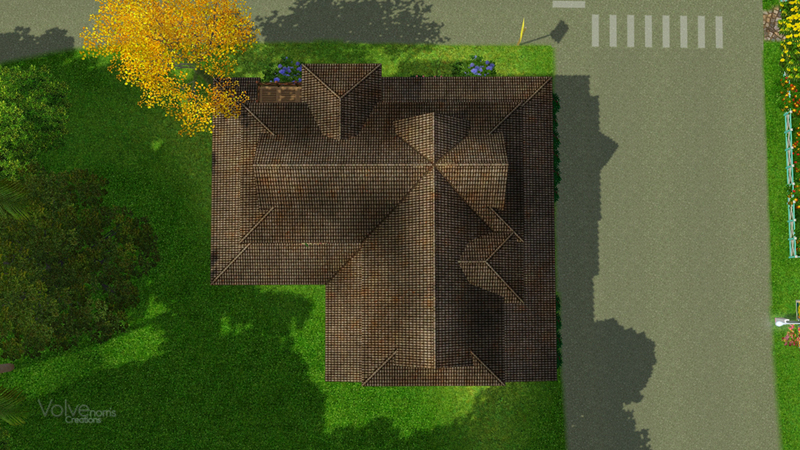 - If there is a way on-lot to get to the water, without having to go through a foundation or using stairs, sims will use this one. - Sims cannot get on boats from those piers. They can only go on boats from ground terrain (I'm talking about "boating boats", not houseboats). Houseboats need community lots (harbours) and those piers. #7 11th May 2017 at 10:21 AM Last edited by Volvenom : 11th May 2017 at 10:34 AM. All those points are very good one's Vincent. I've been fiddling with them for a while. The routing issues is such I'm ignoring them at the moment. 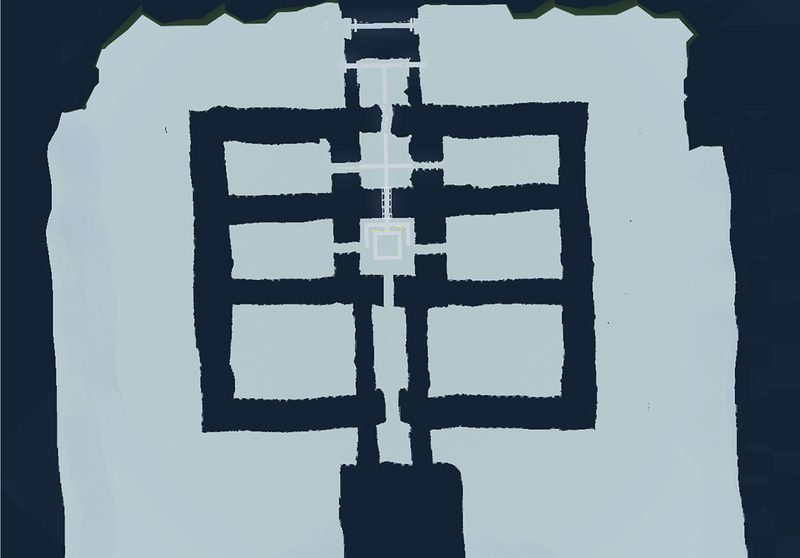 My experience with the seawalls from Stranda, they are a pain if you want to use the same area for lots. I see on the pictures from Siem Reap that the big feature that isn't Angkor Wat btw, it has a very long parade kind of street. I wanted to make something more out of that. Just to have some life along side it. That's part of why I make this thread, I want some input on different solutions. I'm thinking of how to connect the middle island without having to lift it all the way up to the Bridgeport bridge. I also don't want the beach to have to high a difference to that bridge. I can have a wall there of course, but it can soon be too high. 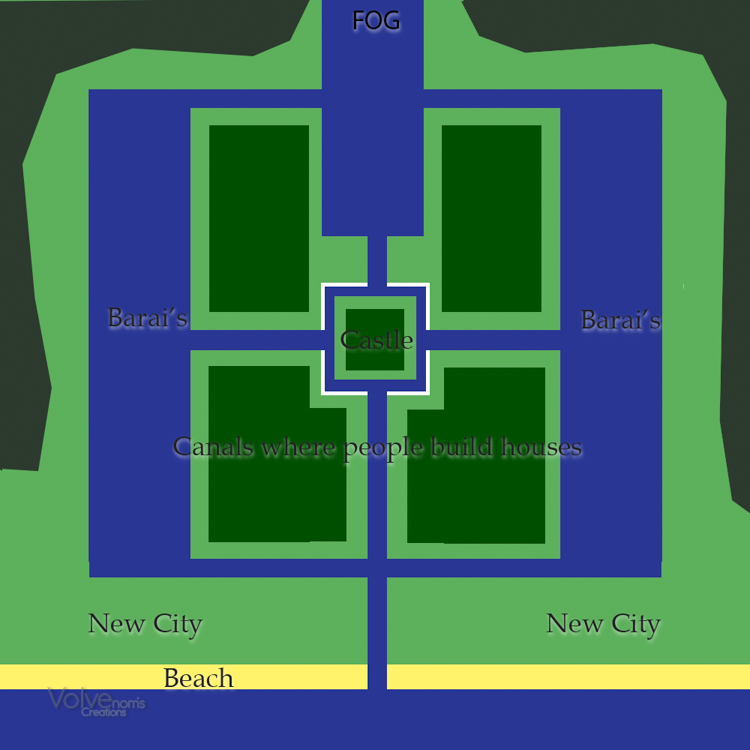 I tried making a lot from the hight of the road to the temple as it is now, down to sealevel to try to get some idea on the hight difference and the width of a staircase community lot thing along side the parade street (what should I call that), and lead down to the sea level. I had to build 3 staircases with 9 steps in each or something . That's like 27 steps, and that's how it looks now. I don't even know if the canalsides are low enough at the moment. When it comes to the regular boats I was planning on making that a part of the rundown part of the temple site. The walls are gone and now it's partly there, but inbetween it's access for regular boats and the piers. I also intend to make it easier for myself by not having access for houseboats all the way in. The inner part I'm using the MV bridge, and that might just about let in the regular boats. 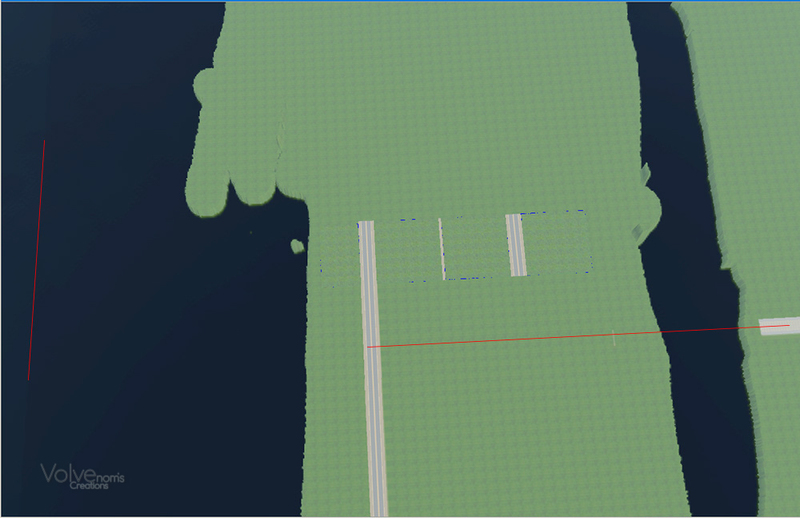 Some of the routing issues might be helpt if I close the ground in the middle of a bridge, so it looks like a regular bridge, but is really not accessible. When it comes to Sims get stuck in foundation I'm like where don't they get stuck? Love the shot with the mountain gateway. IMO if you're going for an Angkor Wat aesthetic, you should probably switch out the suspension bridge for maybe the bridge from Monte Vista. 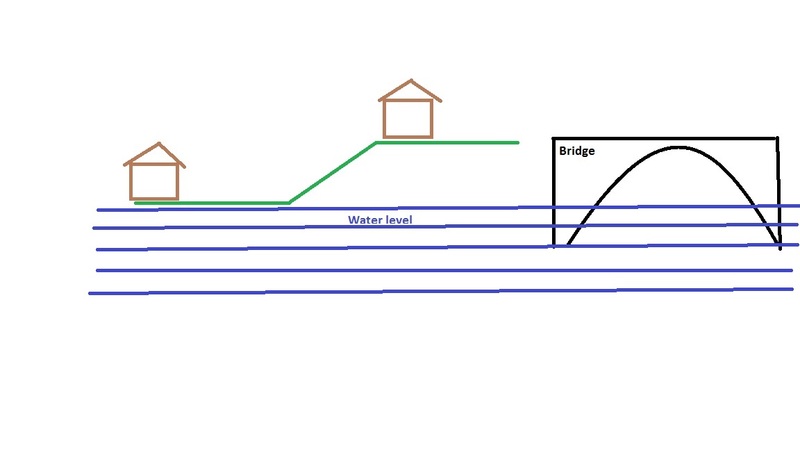 I would probably also suggest lowering the ground where houses are located so that they're much closer to water- road 'causeways' would remain higher to allow for water access. It would also be cool if you went with a tiered layout, with the highest areas in the middle. 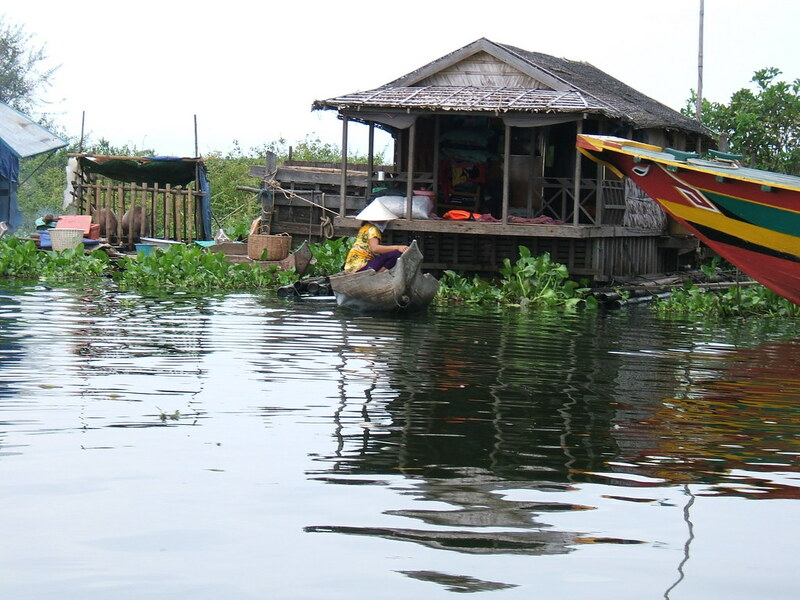 Looking at one of the images, I think a stilt house area accessible only by boat would be really cool as well! What general setting are you using for his world? Modern? Old? It could affect what type of services you would want to limit for this world. Old as in looking old just isn't my thing. I just can't make it work with all the grunge textures etc. I want a modern world, but since I'm from the "organized to destruction" northern europe, I'm thinking it can be a challenge making the slightly irratic, disorganized and asymmetrical Asia might be fun. I'm thinking old and new blends into each other kind of. The middle temple area will be more a touristy place where they have some dancers etc. I had some suggestions on some mods in the stupic questions thread I think it was. I don't know if I took care of the info somewhere. tiered layout ... do you mean like they do in cities skylines with canals in a circle, and then higher ground at the back for each canal? I was wondering about the practicality of having lots only accessible by boat. I was wondering if they can only be parks, or perhaps I can make them residential? For those reasons I'm thinking the suspension bridge might work to bring forward the mixed and contrasty look of a modern Asian city. Yes isn't that cute. I made it that way to give the impression of a baray vanishing in the horizon. I have to fog it off a bit more, and the mountains need to be lower. It all has to be finetuned really. Great concept! I have fond memories of Tomb Raider 4 in Ankhor Wat. Not too sure about the modern bridge for such an ancient place but I guess it's just an ancient place in modern times. @baskerwil If you have been there several times, that makes me a bit ancious but perhaps it can be useful instead? I don't take on a world and think low of it, as I said I expect it will be something like 2 years on this project. I don't plan on doing the hole of angkor wat, as it's apparently growing each season. I'm just picking out the square thing in the middle and do something with that. Because I realized I may have a space problem, I changed the layout. I will come back to you later on that. @tizerist: yes I know, but old things just isn't my thing. I love experiencing new places though, so this will be some of that. Frankly I think a temple is better if it's not filled with insects and rats, but that may well be only me. I have been working a bit and thought about what you said. 1. Today I decided to move the industrial bridge to somewhere on the side of the map. I have mountains alongside the edges of the world and the bridge looks more in place there. 2. I also looked more on the map and tried to see how my shacks would look and where they should fit. From that I have totally redone the layout more or less. I now have a straight road leading to the temple from the big new city, without the high terrain. 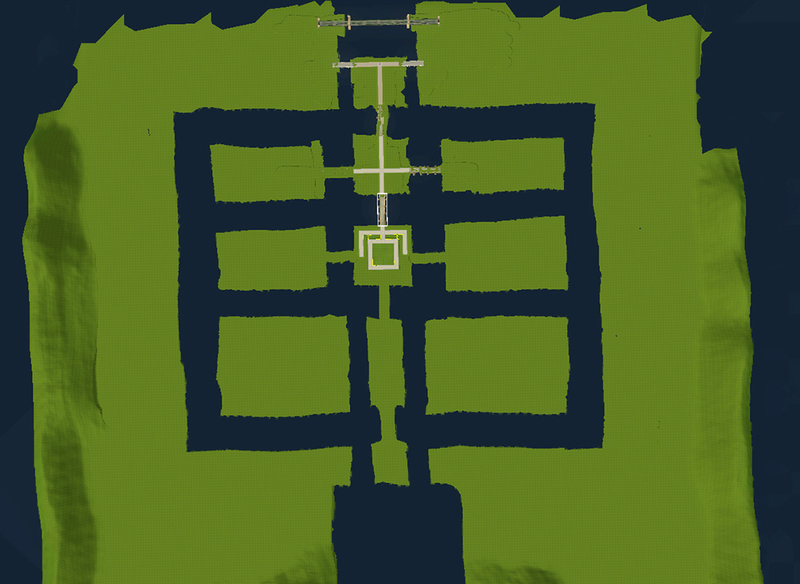 It will all be more flat alongside it, and I can fit the shacks with boats of different sizes. I don't think houseboats can enter under the MV bridges at the center where Angkor Wat is, but that shouldn't be a problem. It wouldn't look good with boats higher than the temple. 3. I'm still not quite happy with the layout of canals around the monument. I don't really know what to put where. 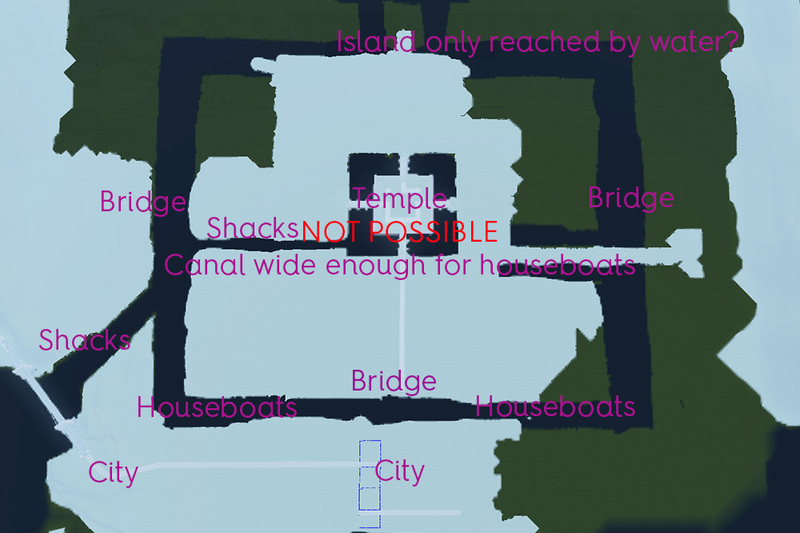 I don't think I can make a lot of houseboats because of the lag. More pictures, click on spoiler. Can you see some shacks alongside the canal here? I think it might be a good contrast between the modern bridge and the humble local dvellings. I'm planning the size of the city and what about this? 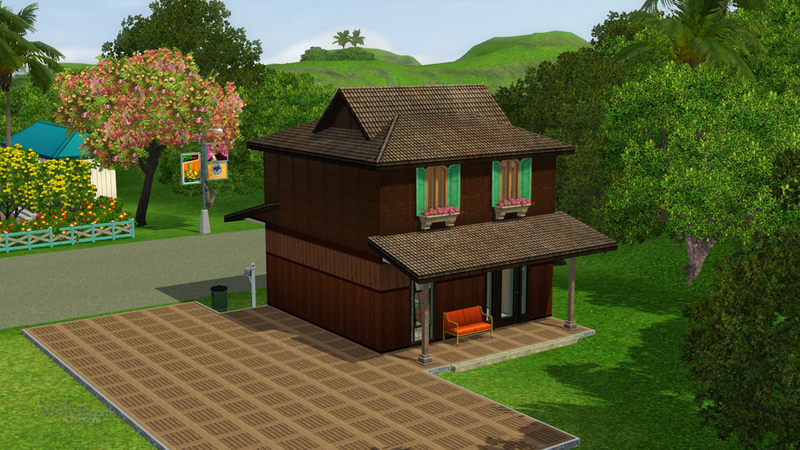 3 of the lots are 50x50 and the one by the sea is 30 tiles wide. I have made you 2 red lines to point out where the road to Angkor Wat comes out, and where the world ends in the sea. #17 26th Jun 2017 at 3:19 AM Last edited by wr3sim3 : 26th Jun 2017 at 3:50 AM. 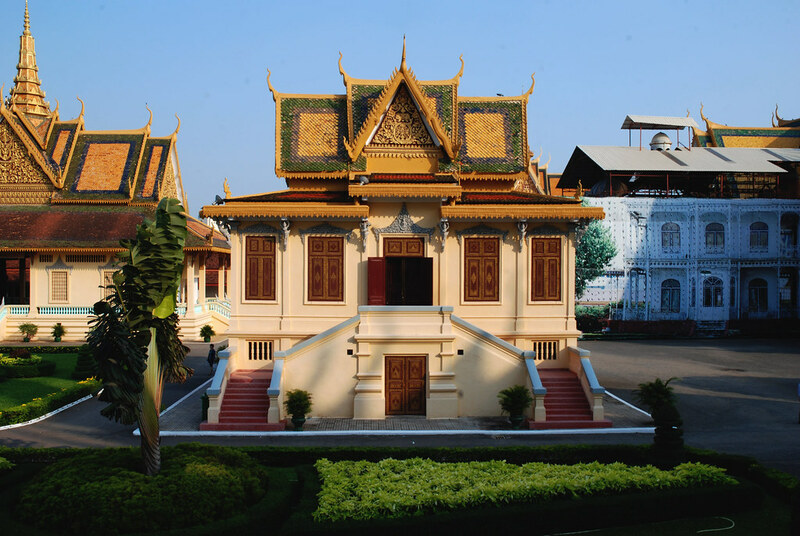 Just FYI, Ankhor was a Khmer Hindu kingdom whose aesthetics have little in common with the Chinese architecture elements of the temple in your middle island. That gateway in particular is rooted in Chinese Daoist and Confucian traditions. Also, the lake that Ankhor situated on was a man made reservoir and would not have the need or depth for a suspension bridge. 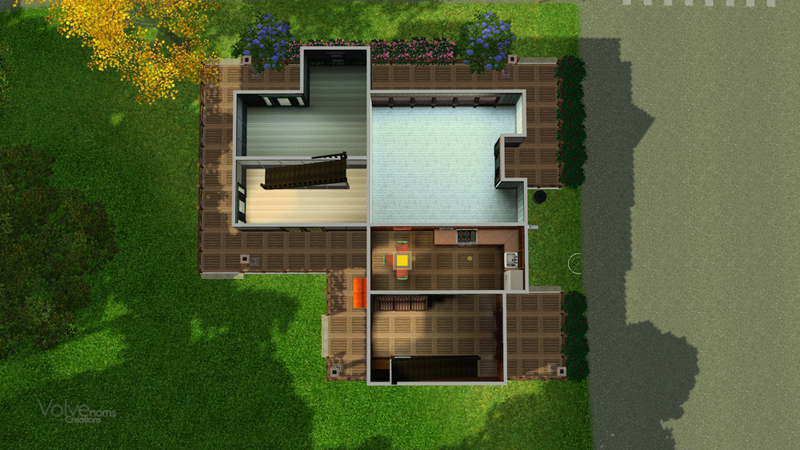 In Sims terms it's closer to a humongous pool. I'm so happy someone has decided to work on an Angkor Wat world. Wishing you the best of luck! These are all technical issues I'm trying to solve. the bridge is the solution. Also I wrote that this is a modern world, not a remake of something so ancient we don't know what they really was like. The walls is also a technical issue. I need to make walls there and these are something I can work with. I'm rather surpriced you didn't comment on the french bridge I'm using? The baray is what you see disappearing in the distance, the bridge is in the modern city. I am not trying to be politically correct and would very much like to play Ankhor Wat. However, the history of Ankhor is neither lost nor ancient. Hindu architectural tradition is also very familiar from India to Indonesia by nearly two billion people. Using distinctly Chinese cultural elements in a world famously known for its Hindu heritage could come off either as ignorant or offensive to nearly half the people on Earth. On the other hand, the form of modern infrastructures are functional and not cultural and wouldn't matter what country you put them. I won't call it Angkor Wat when it's finished, so it shouldn't offend anyone by then. As I said it's just a matter of solving technical problems at this stage. I have very few objects to choose from and they can be recolored. Instead you could help me figuring out how to make the stupas on the main temple, that's more of an issue for me because they have to be meshed. I completely forgot about the stilts they use as a prevention method for flooding. I have to do better next time. #24 7th Jul 2017 at 4:10 PM Last edited by Volvenom : 7th Jul 2017 at 5:13 PM. Thank you. I have been poking through that list and looked at the stupa like tower. I don't know ... do they really look like that? It doesn't look right to me. Peehaps I should just recolor them and see what I end up on. Not sure about the mapping either. 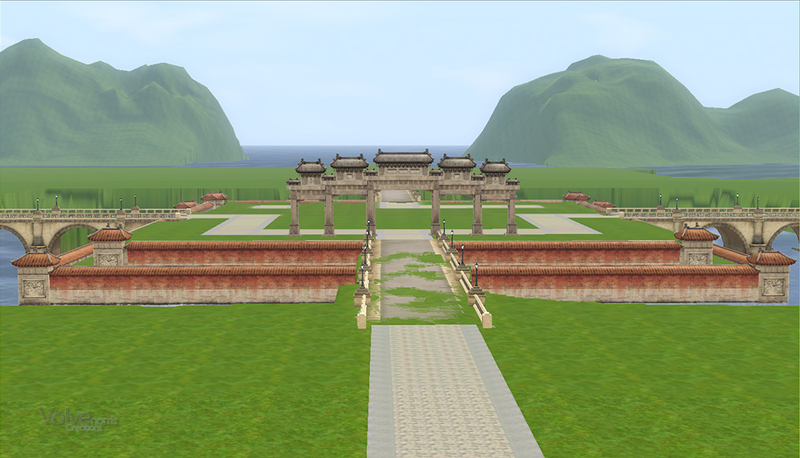 I have worked a bit on the layout of the Paradestreet to the temple in the middle. I decided on a quite wide layout of the Paradestreet, because I wasn't happy with it being only a simple street without anything on the sides. I'm thinking it's nice to have some buildings on the side, and I want to use the sides of the road for canalhouses, and the middle of the street for parks. I'm planning to use the parks for some fun and games, and the 2 parks at the end of the Paradestreet will be big fountains to really shape the beginning and end to the street. I'm just wondering at the moment if I should have the houses on the other side of the canal instead, and have the Paradesteet with seawalls. It could perhaps be prettier if I just had sidewalks alongsidet the canal on this side, perhaps a bit lower than the present wall. 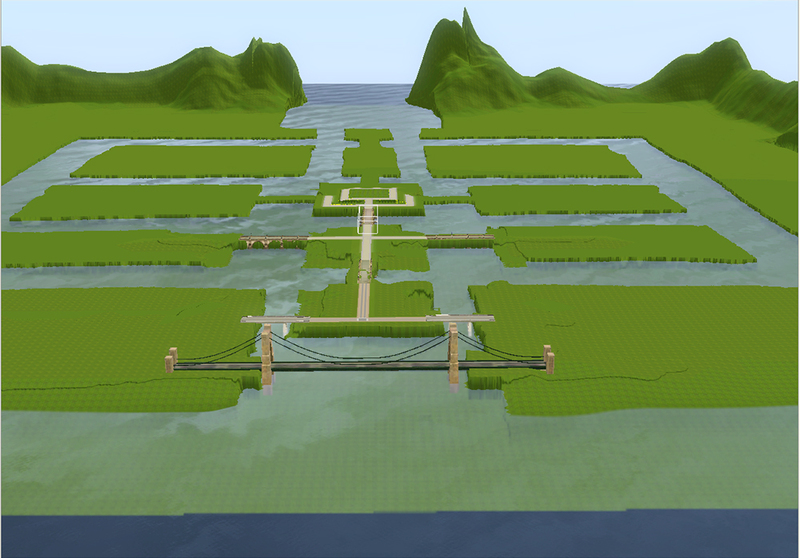 I have to work a bit on the routing alongside the bridge and pathways. I'm not sure it's going to work like this. 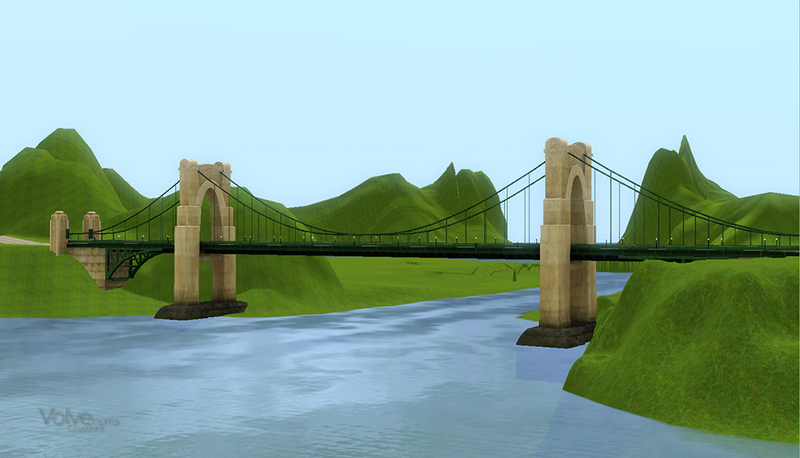 I probably have to recolor the bridge a bit, but I think the wall is quite nice. The tower doesn't quite have the same texture, perhaps I can do something about that.